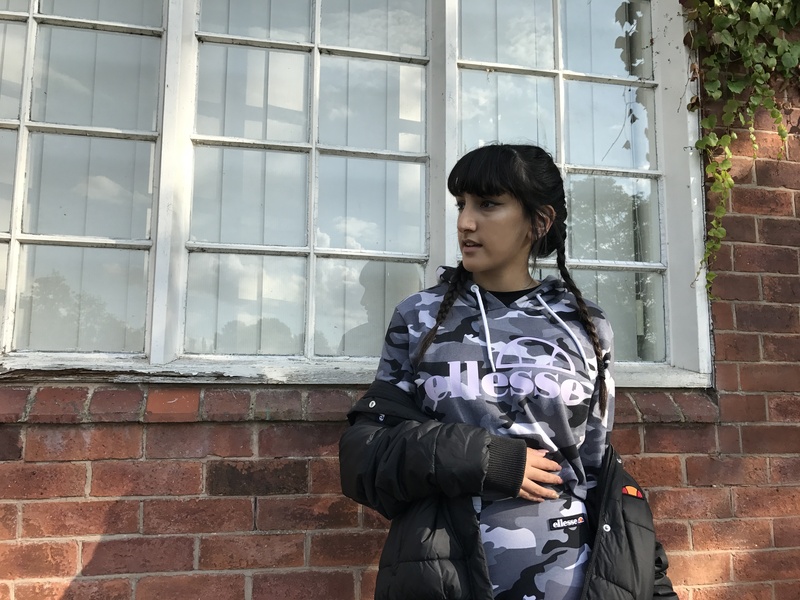 Comfort is essential in both gym wear as well as lounge wear. I mean everyone knows gym gear is perfect and the most comfortable to lounge around the house in. 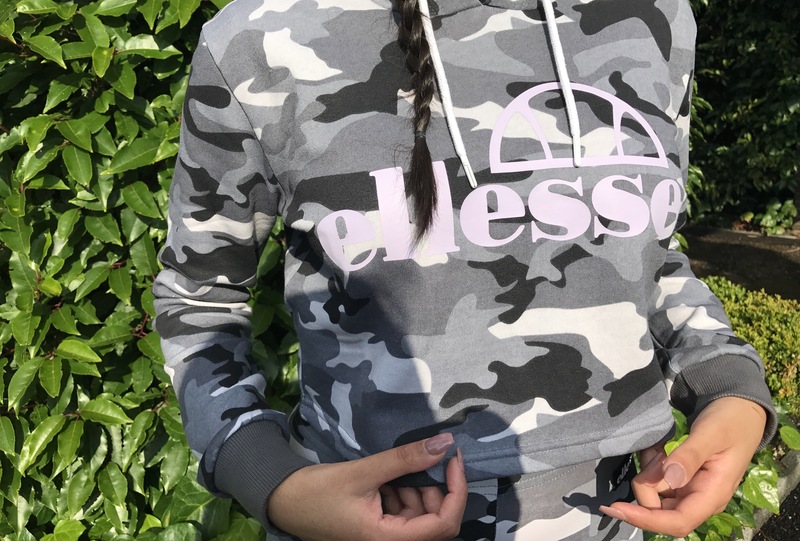 I thought I’d share with you some of my favourite pieces from the new Ellese collection available in JD Sports now. 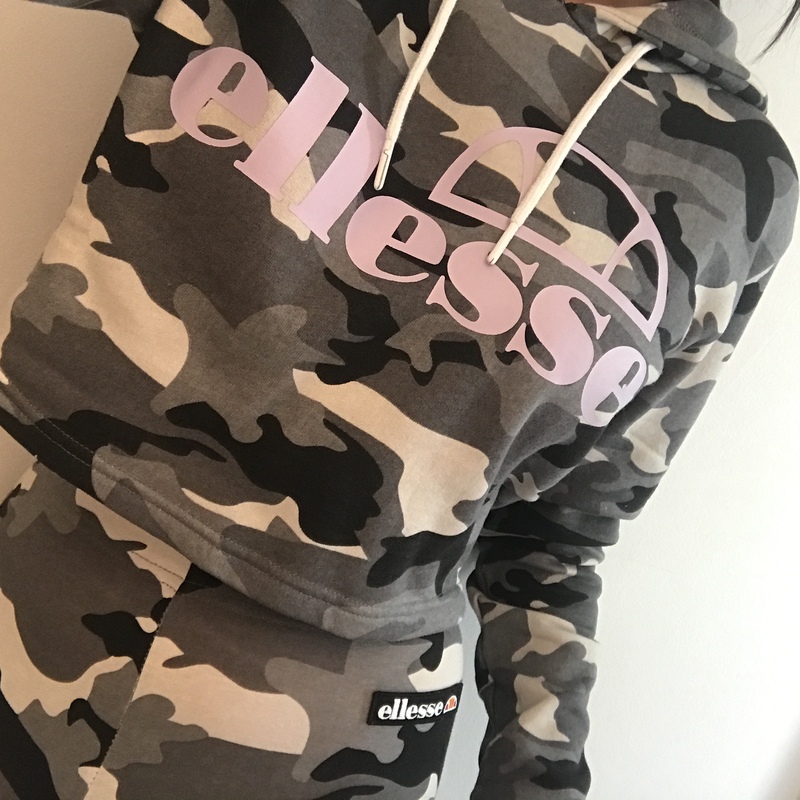 Ellese Cropped Over Head Hoodie – I love a hoodie in general and to be fair a cropped hoodie is super easy to style when going to the gym. 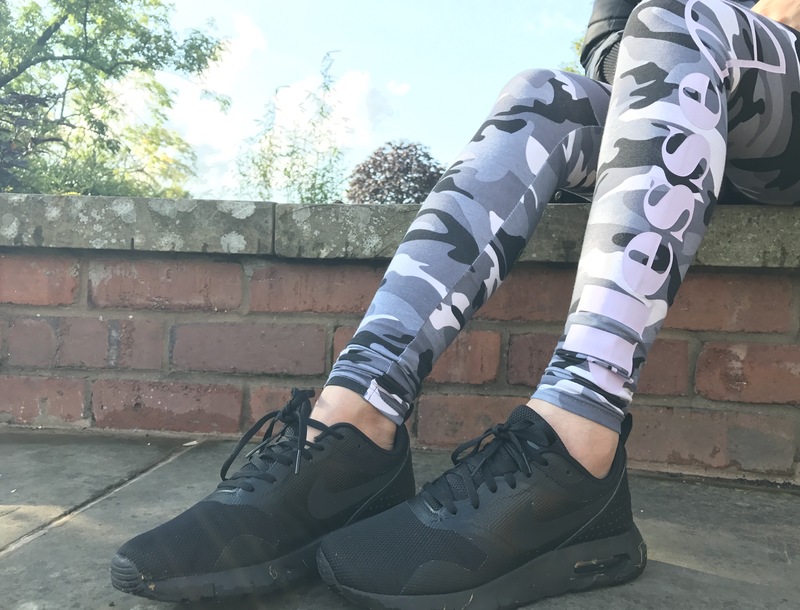 The matching leggings go perfectly however if you didn’t want to be as bold the black Ellese original leggings would go perfectly. 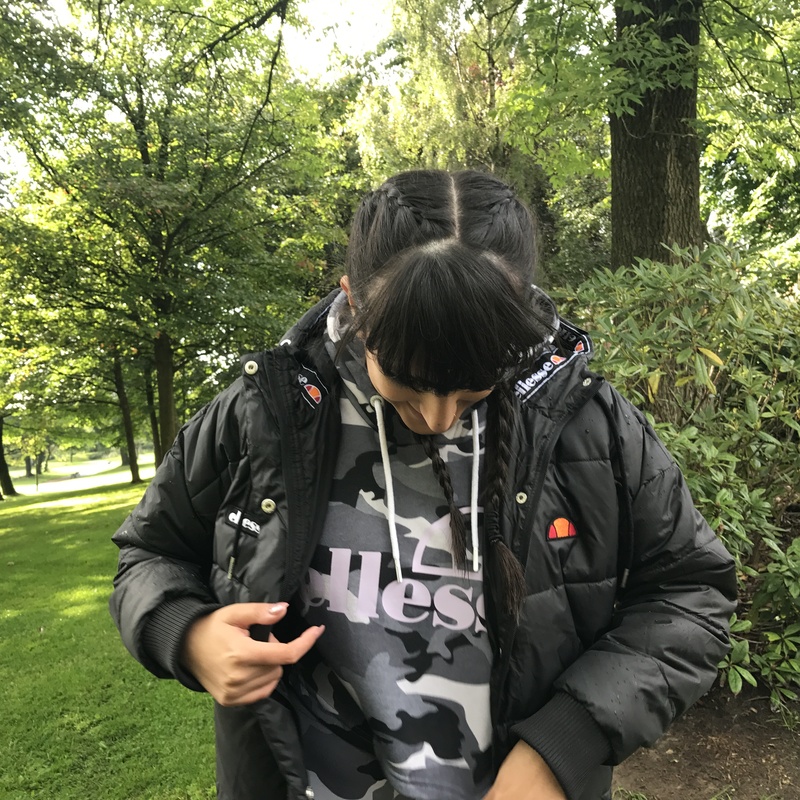 The fit of the hoodie is true to size and is so warm ready for that transition into A/W. 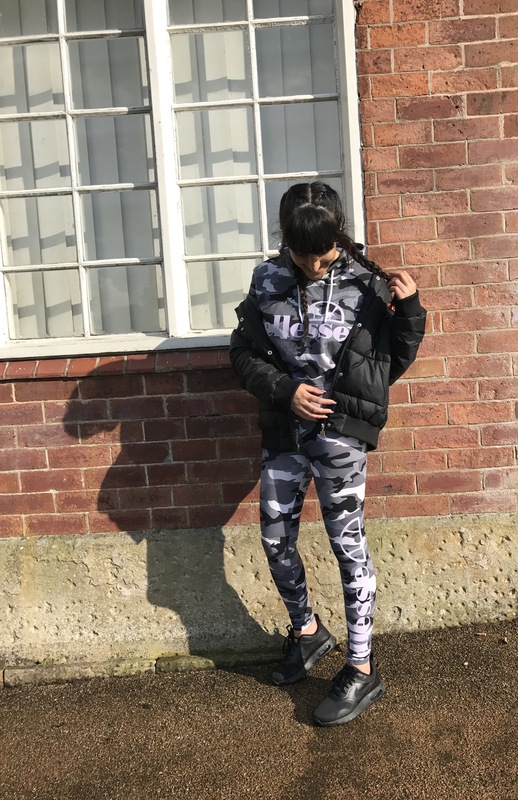 Ellese All Over Print Leggings – The leggings to match the hoodie are such a good fit. Honestly, I don’t think I’ve had a pair of leggings that fit me this well! They’re not at all see through which means you can work out without being cautious and just be comfy. Also, the lilac on the leggings is SO gorgeous can I say at first I thought it was white but pastel colours are so in and it looks trendy!!! 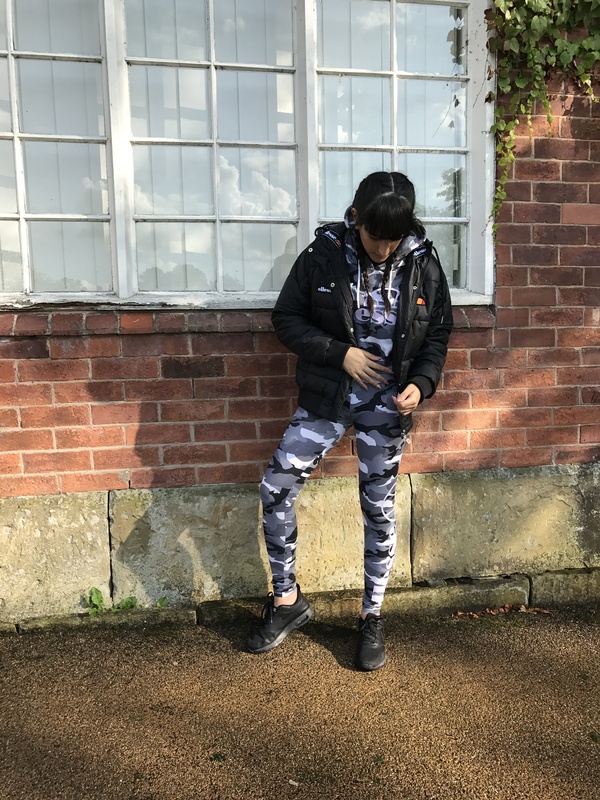 Ellese Padded Jacket – I think this has to be my favourite item of them all. 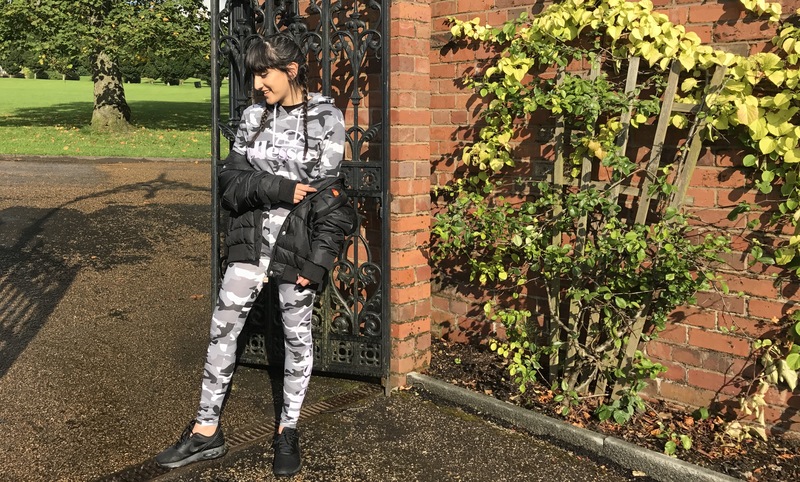 I’ve always wanted a padded jacket and I’m in love I cannot wait to style this in A/W as well as just rock it to the gym. It’s so comfy and isn’t too big which I was afraid of. It fits perfectly and is waterproof so I mean you can’t go wrong. Black Womens Nike Theas – I love my Nikes they’re so super light on my feet to work out in. 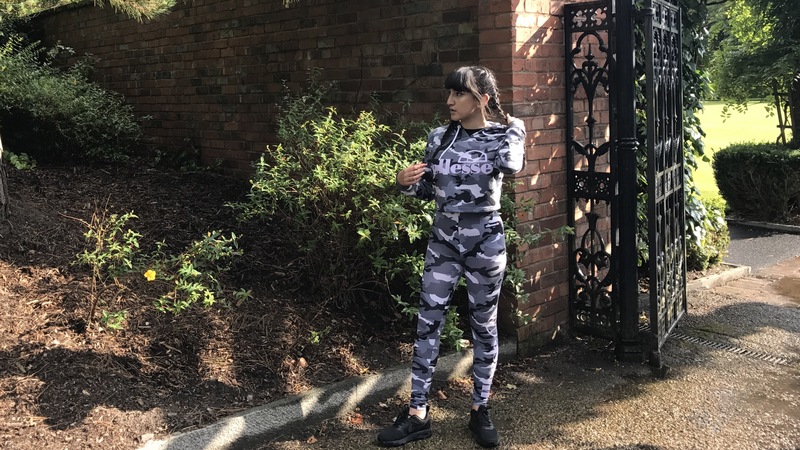 They’re the all black ones and are versatile with all my gym outfits as it’s a basic colour so the grey camo looks super good with these. 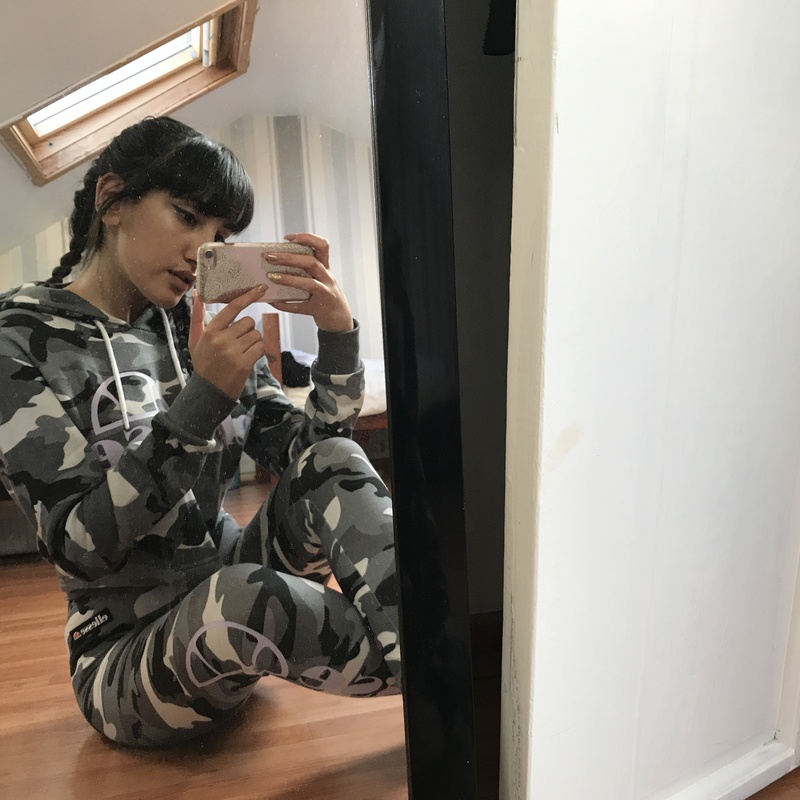 Whats your favourite outfit to work out in? Comment below.